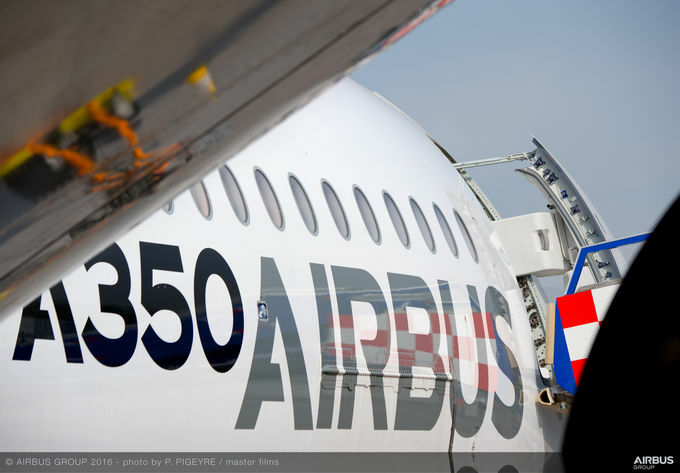 Marking a technological first for Airbus, the company has implemented a new industrial process that uses laser stripping to improve the return current from an aircraft’s electrical systems. This solution was applied by the A350 XWB project teams at Airbus’ Saint-Nazaire plant in France. On the A350 XWB’s centre fuselage section, all electrical systems are assembled outside of the aircraft, then integrated as a single unit throughout. In addition to this assembly, electrical tracks called “raceways” – which carry the return current – are installed, with all connection points stripped to ensure strong conductivity. The stripping of connection points previously was performed using a manual screwdriver and a countersink cutter with micrometric stops – however the results were not uniform, and it was difficult to ensure that measurements met Airbus standards. Moreover, this technique caused musculoskeletal disorders among operators’ aircraft. Having completed special training, the operator – who wears safety glasses and a mask – simply selects the stripping diameter, positions the raceway below the laser with the help of stops and a centering pin, presses on a pedal to start the operation, and then checks the result at the end. Testing of the machine has been underway since February 2016, and the conclusions so far have been extremely positive – in terms of the conductivity measurements, as well as the visual appearance and ease of use for operators.